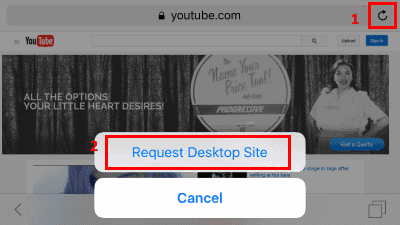 Use this tutorial to solve a problem visiting websites in Safari for iOS where a message appears that says “Could not open the page, too many redirects.”. Update – July 23, 2018 – It appears changes to Facebook is causing this issue for many users. Some users have reported that Fix 2 works for them. Otherwise, the only solution so far is to either use Chrome as your web browser or use the Facebook app. Scroll down and select “Safari“. Scroll to the bottom and select “Advanced“. Scroll to the bottom and select “Remove All Website Data” or select “Show All Sites” > “Edit” and remove the site you are experiencing problems with. Now when you attempt to use Safari on your iPhone or iPad again, you should no longer experience this error message. From the page where you are getting the redirects error, tap and hold the circle with arrows icon in the upper-left corner. No. I don’t have FB on my iPhone and did those exact steps and the problem continues. Instead of opening up FB it’s PCH. Help! doesn’t work with Grid.LGcypower.com – please help! So I have tried all of the above fixes on my ipad and to no avail interestingly I could read daily mail website at home but couldn’t after joining the internet at a rental in Walesthe same day? As long as I can get on FB I don’t mind doing it this way either, but I do wish Apple would correct the problem. I just hope this way continues to work !!! Yep. One month for me too. If it gets me to FB I don’t care if I have to do it every time. It solved the problem….for now. I’m sure there will be a fix down the road. As far as I know yes you do. It’s the only way to fet to FB because when I try to open my FB mail, I still get the same response……..too many redirects. Been going on for a month now for me !!!!! !